​Defend Your Friend is a truly co-operative puzzle game. Both players are not just important, but vital - each with a unique role to fulfill. Through working together, combining their abilities and having each other's back players make their way through carefully crafted puzzles. Getting to understand the inner workings of their environment, and hopefully venturing off to freedom. With its accessible controls it is easy to pick up for new players, and is perfect for introducing people to gaming! Together with a fellow designer I wanted to make a game about co-operation where two players truly depended on each other. One player having a shield was an early decision. I added the idea of the beam to it, as well as a lot of puzzle mechanics such as doors that can be pushed and lasers that can be reflected. As we were deciding on the controls, we put a lot of emphasis on the accessibility for inexperienced players or people with a disability. We did this by making the vital input as easy as we could: players only need to operate the two joysticks on a controller. As design lead I ensured myself and the other designers (ranging from 1 to 3 in development) were always on the same page regarding the project by communicating a lot and reviewing each other's work (as well as creating prototypes and documenting decisions). 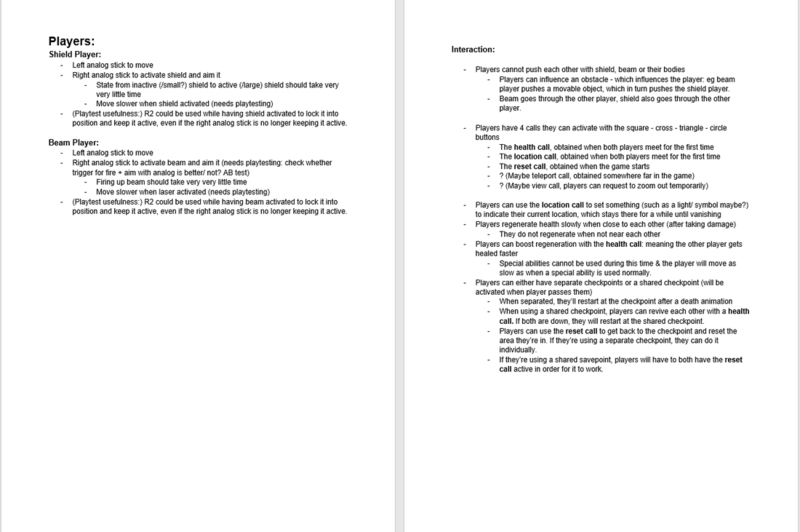 I also made sure we communicated everything with the programmers and artists in order to make a consistent game. 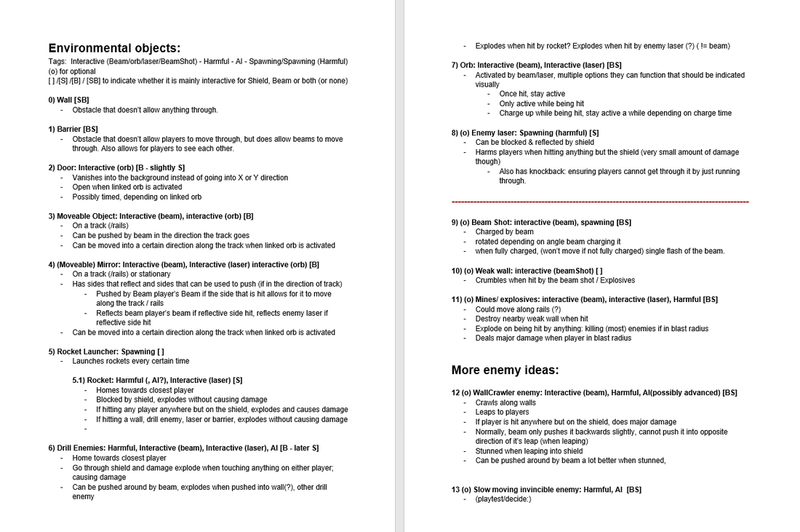 I came up with a lot of the mechanics for Defend Your Friend, and made prototypes in Unity (as I was more familiar to the program at the time) to test out game play, seeing how well certain mechanics worked and to already start testing metrics and puzzles. These prototypes helped a lot by ensuring everyone has the same game in mind, by proving it's fun, and by already allowing us to test out our levels. You can find these early prototypes on google drive by clicking here. 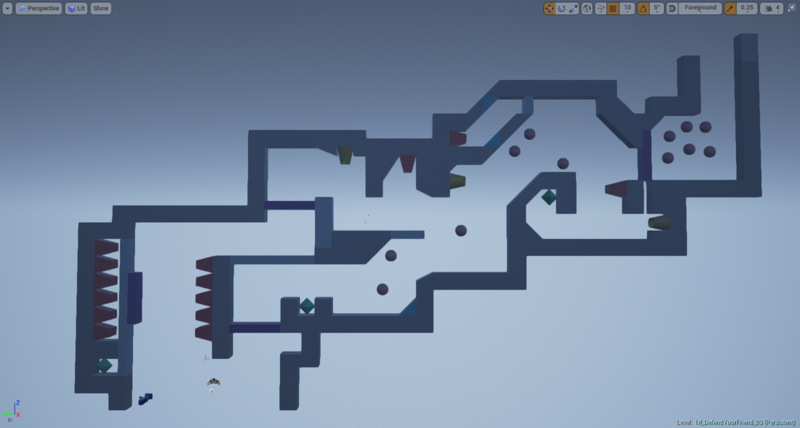 I created most of the levels in DYF. 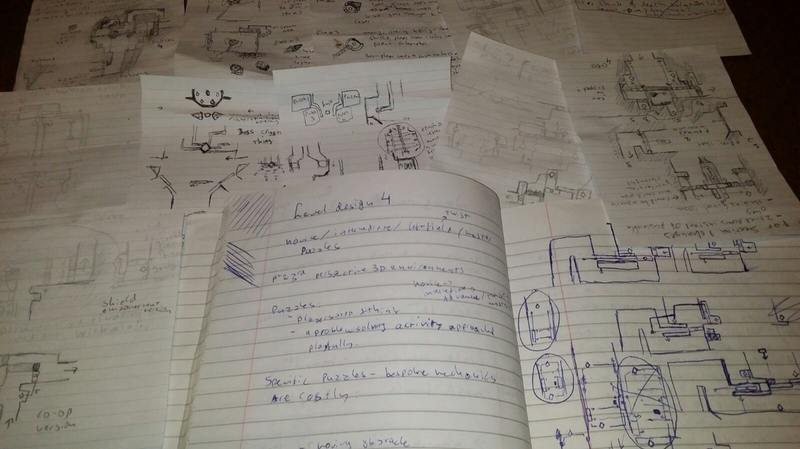 I would initially draw out a lot small puzzles on paper whenever I had a good idea, then draw those out digitally into a complete level, paying close attention to introducing puzzle elements and keeping every level interesting. After having iterated on that a couple of times I would make whiteboxes. 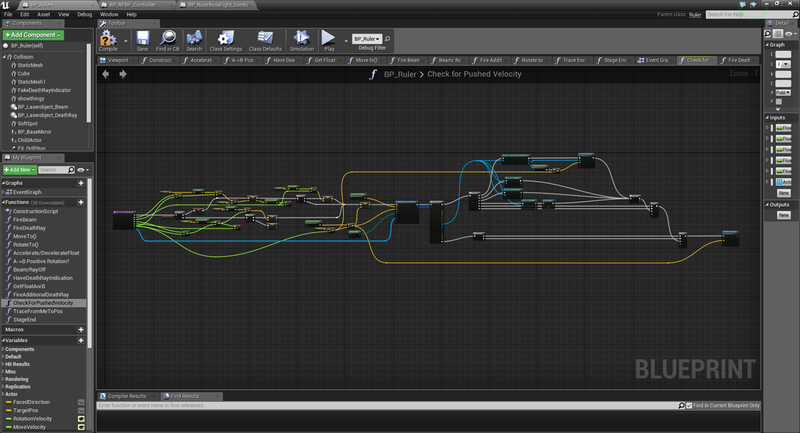 In the beginning of development I made those whiteboxes in Maya, later on I made them in Unreal Engine directly. 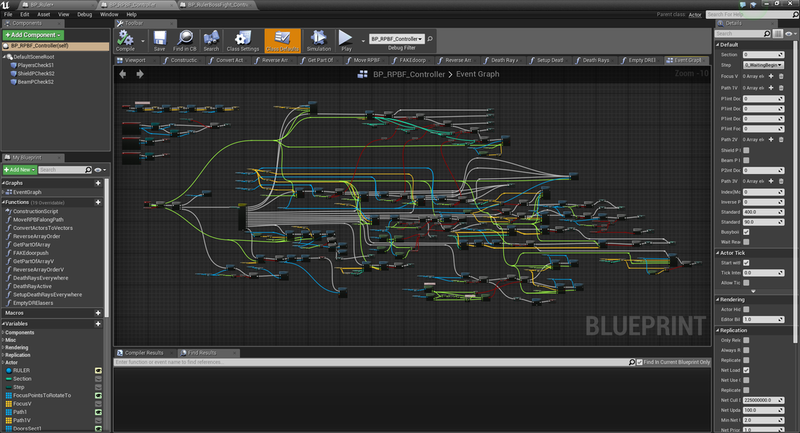 Throughout this project I got used to Blueprinting in Unreal, and I used that to create a number of scripted events as well as an actual boss battle. 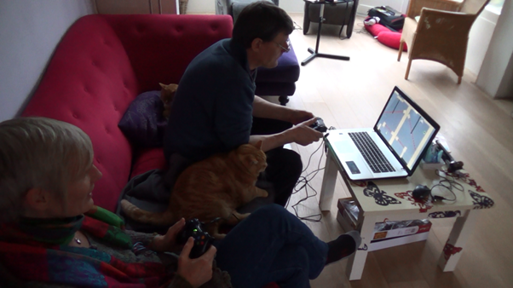 After the second unity prototype I started testing DYF with people outside our team. At first mainly people closely related: including my parents, sister, best friend and girlfriend. 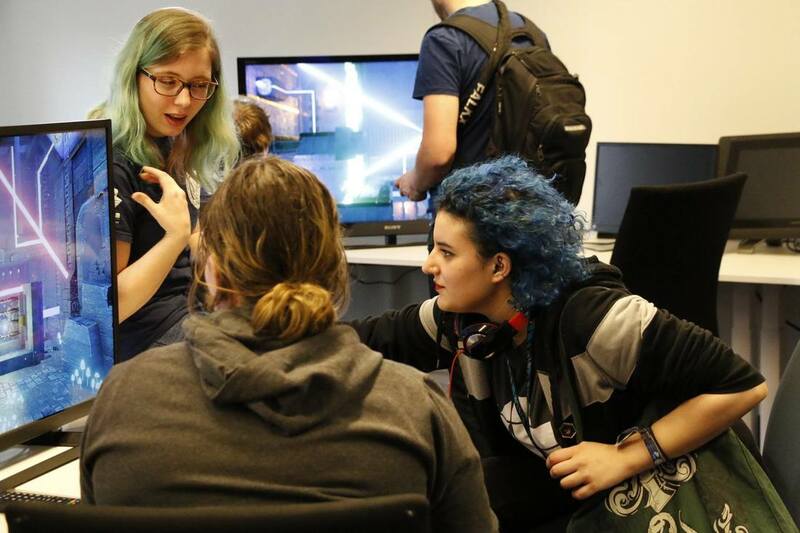 Later I, together with other team members, started actively testing at open days from our school, 'play days' we had at the end of each block, conventions we went to and playtesting days we organized ourselves. The information we obtained from this was invaluable to determine whether what we were doing worked, and helped us improve the game a lot. 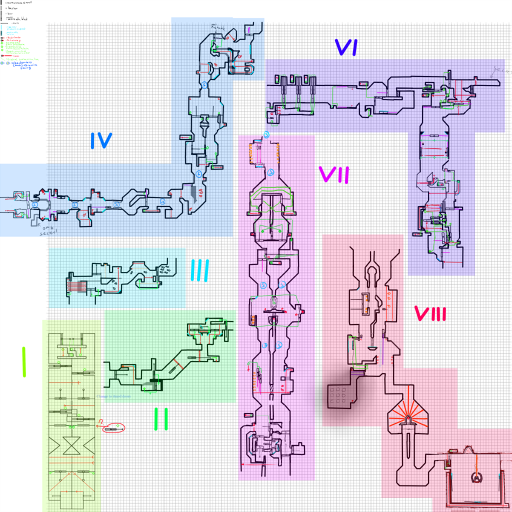 It specifically helped me to iterate on my levels based on what I saw during playtests.